Emory students, faculty and staff describe what Paul Simon's music has meant to them, his importance as an artist and his incorporation of variety of musical genres. 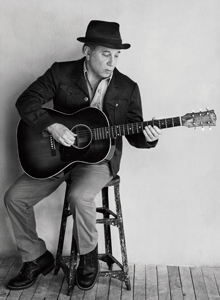 Tickets for the 2013 Richard Ellmann Lectures in Modern Literature at Emory University, featuring award-winning musician/songwriter Paul Simon, will be available beginning Monday, Dec. 3. A musical performance with guitarist Mark Stewart at 7:30 p.m. Tuesday, Feb. 12, also at Emory's Schwartz Center (SOLD OUT). Tickets are free, but are limited to two tickets per person, per event. Tickets may be reserved beginning at 10 a.m either online (tickets.arts.emory.edu), by phone (404-727-5050) or in person at the Arts at Emory Box Office (1700 N. Decatur Rd. Suite 251, Atlanta, GA 30322, open M-F 10 a.m.-6 p.m.). Tickets must be either mailed or picked up in person prior to the events. There will be no will call at any of the events. For more information visit emory.edu/ellmann. Simon's lectures are expected to concern, in part, an overview of the historical antecedents of the music made between 1966 and 1970. Emory established the biennial Richard Ellmann Lectures in Modern Literature in 1988 in honor of Ellmann (1918-1987), who served as the university's first Robert W. Woodruff Professor from 1980-1987. The biographer of James Joyce and Oscar Wilde, Ellmann was one of the 20th century's greatest literary biographers and critics of modern Irish, English and American literature. He enjoyed eminent domain among the interpreters of W. B. Yeats, Samuel Beckett, Henry James, T. S. Eliot, Wallace Stevens, and other modern authors. His public lectures were unparalleled in their appeal to a worldwide audience of readers. Ellmann always spoke in a language that invited the reader to share his or her personal engagement with serious literature.